Gotta bounce yo! The bottom of the range on EUR/GBP seems to be holding as support for now, but will this pair have a chance to test the top? 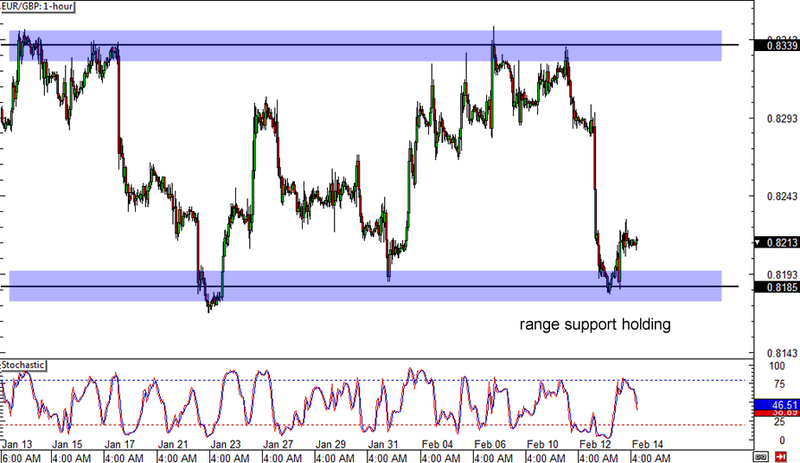 The range resistance is still a good hundred pips away so if you’re bullish on this pair, it’s not too late to jump in. Stochastic is starting to move down from the overbought zone though, which suggests that euro bears are ready to push the pair lower. Any trend traders out there? Here’s a potential break-and-retest setup you might be interested in! GBP/AUD just breached the 1.8400 major psychological resistance but retreated upon reaching the 1.8600 area. 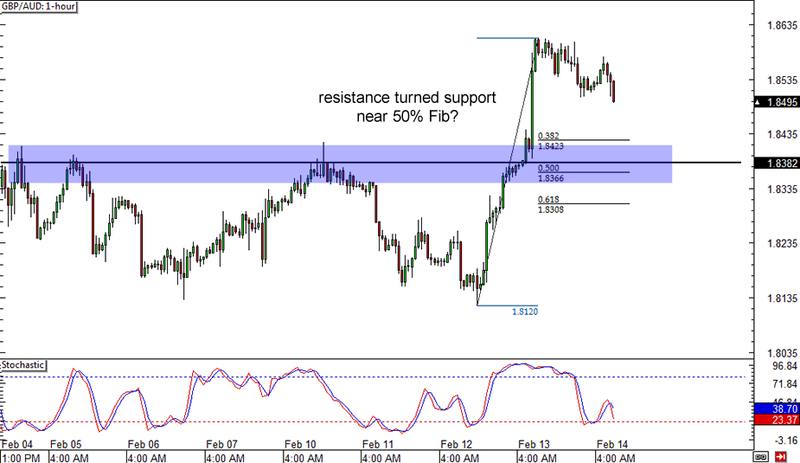 A quick retracement to the former resistance level might be in order, as this area coincides with the 50% Fib level. Better wait for stochastic to climb out of the oversold area if you’re planning to buy. 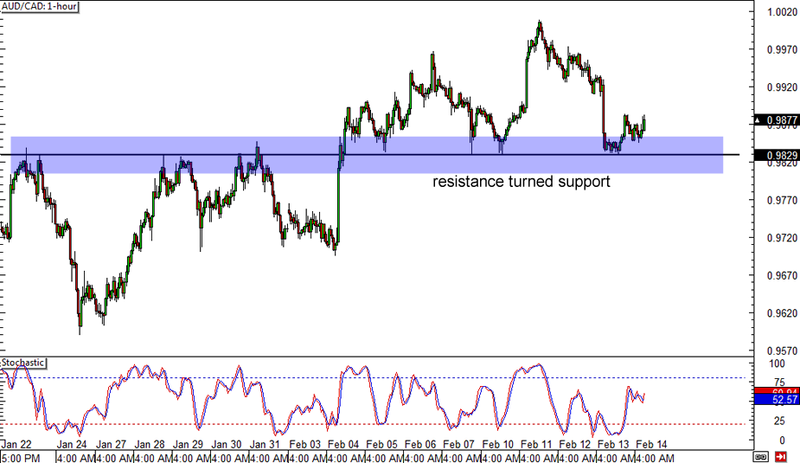 Here’s another resistance turned support bounce that’s already playing out! After that recent sharp selloff, AUD/CAD still found support just above the .9800 major psychological level. If buying pressure is strong enough, the pair could climb back up to its previous highs near parity. Stochastic seems ready to higher, which means that this pair could still have a few gains in store.